Salt Lake Community College’s winter break spans nearly a month, from Dec. 13 to Jan. 7. With so much free time available to students, what can Bruins do to stay busy during this hiatus? Here are four ways you can make the most of your winter break. Many stores hire temporary seasonal workers around the holidays to better handle the influx of Christmas shoppers. According to The Motley Fool, the average seasonal worker will earn just over $15 an hour this year. That means if you worked 20 hours a week, you could make as much as $1,200 in a month before taxes — more than enough to buy Christmas gifts for the whole family. Utah, and the Salt Lake Valley in particular, is known for its rich history of winter sports like skiing and snowboarding. 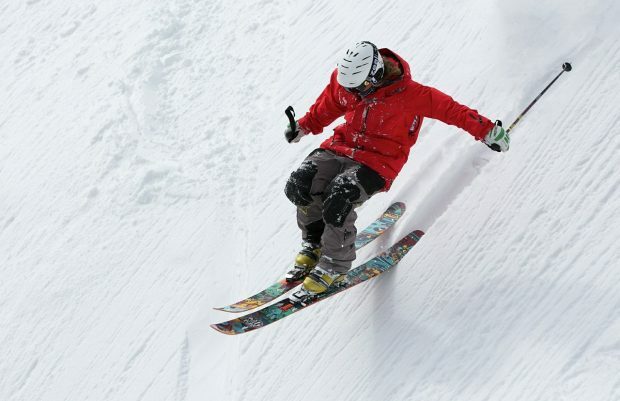 Winter break provides a perfect time for students to hit the slopes. December is towards the front end of ski season, a favorite time for many who appreciate the fresher snow that hasn’t yet been shredded by thousands. There are over a dozen resorts less than an hour away from SLCC, and many offer heavy discounts for students interested in a season pass. Whether it be a date night or a family outing, going to see the Christmas lights can be the perfect way to get into the spirit of the season. Temple Square in downtown Salt Lake City is famous for its elaborately-designed lighting displays that have mesmerized Utahns for the last 50 years. This year, the lights go up Nov. 23 and will remain until Jan. 2, 2019. Other notable displays include Hogle Zoo Zoolights, which runs from Nov. 30 to Dec. 31, and Luminaria at Thanksgiving Point, which goes from Nov. 29 until Jan. 5, 2019. In all the excitement of the season, it can be easy to forget about the less fortunate. Organizations like the Utah Food Bank, who distributed over 32 million meals last year, rely heavily on volunteers in order to stay in operation. Volunteering happens every day of the week besides Sunday and those interested can sign up online. For those a bit more strapped for time, many charities also require donations to continue operations. One such organization is Tiny Tim’s Foundation for Kids, a local toy factory which builds toys and sends them to impoverished children around the world. Donations are taken through their website and go towards the hand building of toys by volunteers.